Mesothelioma is a rare and aggressive cancer that develops on the protective lining around the lungs, abdomen, and heart. It is caused by exposure to asbestos and can take between 20 and 50 years to develop. Doctors determine the type of mesothelioma based upon where the tumor develops in the body. Testicular mesothelioma is extremely rare and occurs in less than 1 percent of cases. Men comprise 81 percent of pleural mesothelioma cases and 56 percent of peritoneal cases. What Are the Causes and Risk Factors? Asbestos exposure causes malignant mesothelioma. When inhaled or ingested, sharp asbestos fibers cause mesothelial cells to mutate and become cancerous. Mesothelioma usually develops between 20 and 50 years after asbestos exposure occurs. Since asbestos was widely used in industrial and commercial products, a large number of individuals have been exposed to this toxic substance in the workplace. Asbestos was extensively used in every branch of the military due to its insulating and fire-retardant properties. Veterans who worked as boilermen, pipefitters, mechanics and welders had the highest risk of exposure. Family members can inhale asbestos fibers and dust that a loved one carries into the home on work clothes. This is referred to as "secondary" or "take home" exposure. Early symptoms of mesothelioma are similar to more common diseases such as pneumonia, the flu or irritable bowel syndrome. Due to how long this cancer usually takes to develop, symptoms often don’t appear until tumors have progressed. 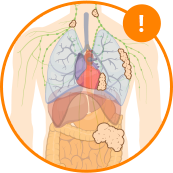 Symptoms vary based on the type of mesothelioma. Many patients are diagnosed with mesothelioma after exhibiting a persistent cough, pneumonia-like symptoms or fluid buildup. Because this type of cancer can take decades to develop, its symptoms often appear without warning. When a patient exhibits persistent symptoms, a doctor will suggest a series of tests. These tests determine the type and stage of the cancer. Staging determines a cancer’s severity and also indicates the available treatment options. Doctors assign a number between 1 and 4 to the disease, with Stage 1 being the least severe and Stage 4 being the most progressed. Based on the stage of a patient’s disease, specialists either prescribe treatments to remove the cancer, offer chemotherapy to extend life expectancy or focus on limiting patient discomfort. About 40 percent of pleural mesothelioma patients and approximately 50 percent of peritoneal patients survive for at least one year after receiving their diagnosis. A patient’s prognosis is often based on stage, cell type and their overall health. Women and younger patients have a better life expectancy than older men. 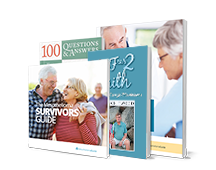 There are several steps patients can take to improve their prognosis. Seeing a specialist is the most important way to improve your prognosis. Surgeons and oncologists who specialize in treating mesothelioma are vital components of your treatment plan. Patients should explore all available treatment options. This includes methods such as immunotherapy, clinical trials and multimodal treatment regimens that involve a combination of surgery, chemotherapy and radiation. A nutrient-rich diet and active lifestyle play a significant role in how patients feel before, during and after treatment. 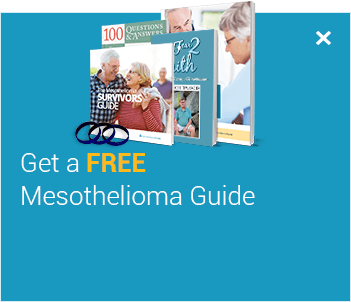 Selecting a mesothelioma specialist is one of the most important decisions for a patient. General oncologists do not have much experience in treating mesothelioma because only 3,000 cases are diagnosed in the United States each year. Many of the top cancer centers in the United States have mesothelioma specialists. 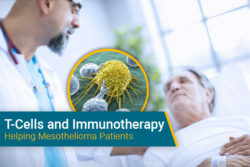 By connecting with these facilities, patients can select a doctor who has experience treating their specific type of mesothelioma. Not every specialist is the right fit, and the top cancer centers have options for patients. We use these factors to accurately match you with top mesothelioma doctors. "My wife and I so appreciate how Jenna was able to make us not feel lost and alone. 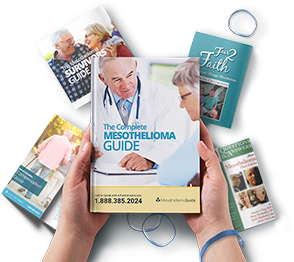 She thoroughly understood our situation, verified that we were taking the right steps, explained other steps to take, provided recommendations for specialists, and explained many services that the Mesothelioma Guide can provide. She helped put our minds at ease." - Mike W.
There isn’t a one-size-fits-all approach to mesothelioma treatment. Specialists choose from a variety of cancer treatment options depending on the location of the disease, the cell type and the patient’s personal medical history. For the best treatment, find a cancer center with experience in mesothelioma treatment and research. Surgery is the only treatment option known to significantly extend life. Almost every mesothelioma patient who has lived more than five years has had surgery. 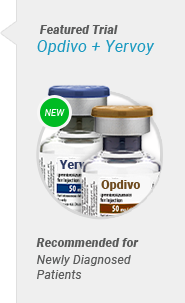 The first-line chemotherapy drugs approved by the FDA to treat mesothelioma are Alimta and Cisplatin, which are often used together and in conjunction with surgery as a multimodal approach to improve a patient’s prognosis. Radiation treatment is used to slow the growth and progression of mesothelioma in conjunction with other methods like surgery and chemotherapy. It is also used to reduce pain caused by tumor growth. Specialists will use a combination of different treatment methods to improve a patient’s prognosis. Radiation and chemotherapy are often used before, during or after surgery to help reduce the chance of a recurrence and improve a patient’s overall survival. Clinical trials are an additional option to consider for patients who have exhausted other treatments. Immunotherapy drugs are currently being offered in clinical trials. Some survivors credit alternative health options as instrumental in their recovery and reduction of side effects. Examples include yoga, meditation and acupuncture. 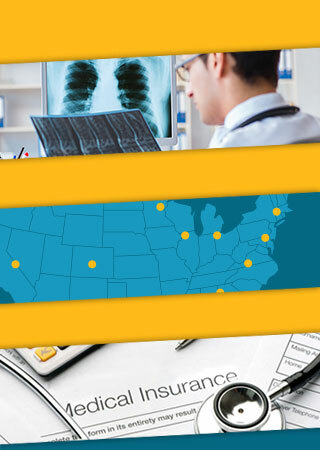 Questions About Your Treatment Plan? Jenna Campagna, RN explains how she assists patients. Jenna Campagna is a registered nurse and a mesothelioma patient advocate. She helps patients discuss their treatment options, offers ways to receive novel treatments that may still be in clinical trials and finds doctors who are open to multimodal surgical options. Many people struggle to understand the complexities of the legal process, especially for cases involving personal injury or wrongful death. We can help answer some of the most common questions mesothelioma patients and their families have regarding compensation. Yes. Mesothelioma patients or their family members can sue the asbestos manufacturing companies that are responsible for their exposures as long as the time limit to file has not expired. What Are Asbestos Trust Funds? Once a connection was proven between asbestos exposure and cancer, people began suing the companies that exposed them. After a flood of lawsuits, some companies filed for bankruptcy. These companies were forced by bankruptcy judges to set aside funds for future asbestos victims. 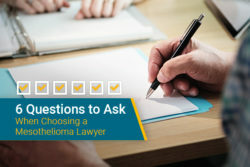 How Do I Find a Mesothelioma Lawyer? Mesothelioma lawsuits are complex and time-sensitive. It’s important to hire an experienced lawyer who specializes in asbestos litigation. They can guide you through the case process. Most veterans with mesothelioma are eligible for benefits through the Department of Veterans Affairs (VA). 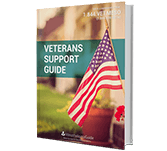 Two financial benefits available to veterans are disability compensation for veterans primarily exposed in the military, while pension is for non-service-related mesothelioma cases. Family members and dependents can also receive financial assistance. In addition, the VA has contracted with two world-renowned thoracic surgeons who provide specialized mesothelioma treatment to any veteran enrolled in the VA health care system. "In my mail today I received a letter from the VA with their decision about my DIC claim. I looked at the balance in my bank account and found that I have already received the payment for the first four months of back pay, plus the regular August 1 payment for July. I am blown away by this and cannot thank you enough, Carl, for all your help in filing this claim. Thank you. "- Trudy T.
Life Expectancy in Pleural and Peritoneal Mesothelioma. US National Library of Medicine. Retrieved from: https://www.ncbi.nlm.nih.gov/pmc/articles/PMC5292397/. Accessed: 03/19/19. Malignant peritoneal mesothelioma: Epidemiology, risk factors, clinical presentation, diagnosis, and staging. UpToDate. Retrieved from: https://www.uptodate.com/contents/malignant-peritoneal-mesothelioma-epidemiology-risk-factors-clinical-presentation-diagnosis-and-staging/. Accessed: 03/19/19. Presentation, initial evaluation, and prognosis of malignant pleural mesothelioma. UpToDate. Retrieved from: https://www.uptodate.com/contents/presentation-initial-evaluation-and-prognosis-of-malignant-pleural-mesothelioma/. Accessed: 03/19/19. Epidemiology of malignant pleural mesothelioma. UpToDate. Retrieved from: https://www.uptodate.com/contents/epidemiology-of-malignant-pleural-mesothelioma/. Accessed: 03/19/19. Recurrence of Pericardial Mesothelioma Affecting the Myocardium After Pericardial Resection. U.S. National Library of Medicine. Retrieved from: https://www.ncbi.nlm.nih.gov/pubmed/29792828/. Accessed: 03/19/19. Molecular Pathways and Diagnosis in Malignant Mesothelioma: A Review of the 14th International Conference of the International Mesothelioma Interest Group. Research Gate. Retrieved from: https://www.researchgate.net/publication/329200715_/. Accessed: 03/19/19. Initial analysis of the international association for the study of lung cancer mesothelioma database. U.S. National Library of Medicine. Retrieved from: https://www.ncbi.nlm.nih.gov/pubmed/23070243. Accessed: 03/19/19. Last Edited: April 9, 2019.